Confession. I have a new toy. A work horse. Kitchen companion. A Thermomix. Hmmmm. I have blogged about the Thermomix before with mixed impressions, taken aback by the cost and the hands off approach to cooking. But….people it is quite amazing. Conversion! Did I go out and buy this? Well not exactly. It was a gift from Mr 7mouths2feed. Some would say he is a very smart man. As the mother and CEO to this very busy, large family this new appliance has become my second pair of hands. It does the work for me in super quick time, I can walk away while something is cooking, milling, blending or emulsifying and do that next thing on the list. There are hundreds of others out there blogging their precious hearts out about the Thermomix. I promise not to do that. But this post is just as a way of stopping by and saying this is what I am doing right now. Making Easy Peasy Carrot Cake. 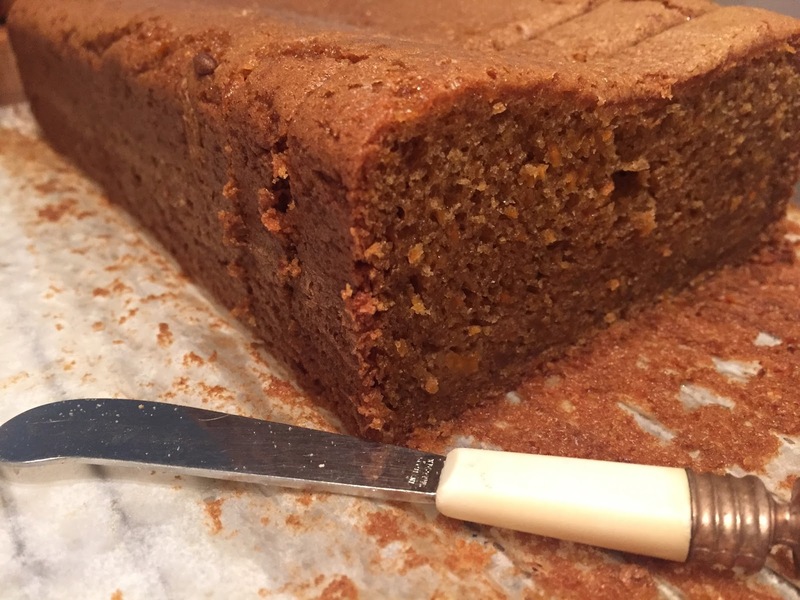 The original recipe can be found here on a thermomix recipe community website but of course, I have altered it to make one large loaf which is gluten and dairy free. The recipe is a winner. Moist, scrumptious cake that takes 5 minutes to make, 40 minutes to bake. Dress it up for dessert or keep it simple for the school lunchbox. It is truly easy peasy.